Mmmm, muffins. And mocha? Oh gosh – a slight chocolaty and coffee taste. These mini-muffins turned out so moist, not gooey. So sweet you’d think they would be loaded with tons of sugar. 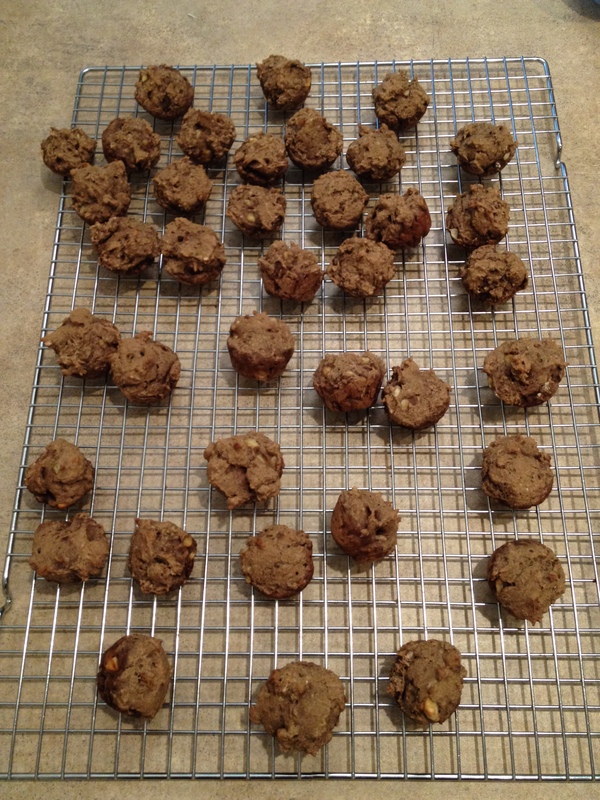 My favorite part of any kind of baked banana treat? Lit bits of mushy banana in each bite – I love a good ole mushy fruit in my little goodies. That might sound weird, but mmmmm. 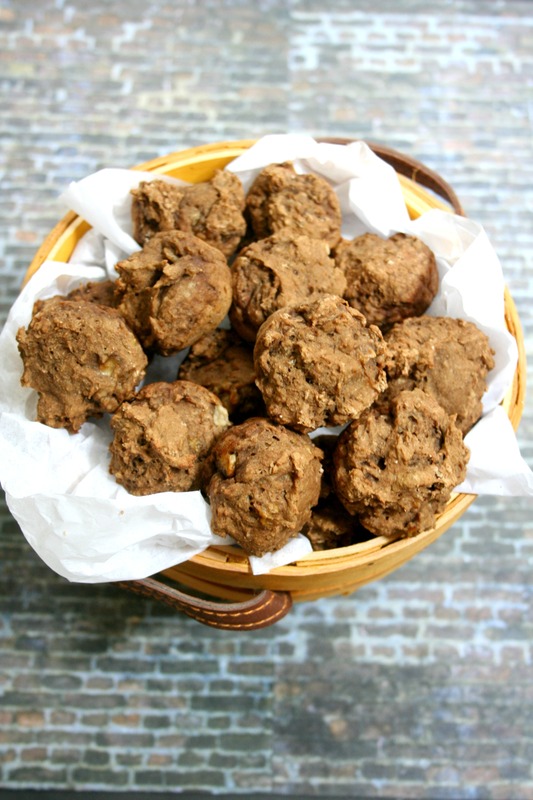 Enjoy some vegan, gluten-free, and sugar-free Moist Mocha Banana Mini-Muffins. I haven’t cooked with chocolate on the blog before this year. I recently bought a container of cocoa from Trader Joe’s – all sugar free and just plain cocoa. I decided I wanted to try making a mocha cake, but didn’t want an overpowering chocolate flavor. And what better way to add some coffee and cocoa to a cake? Banana! 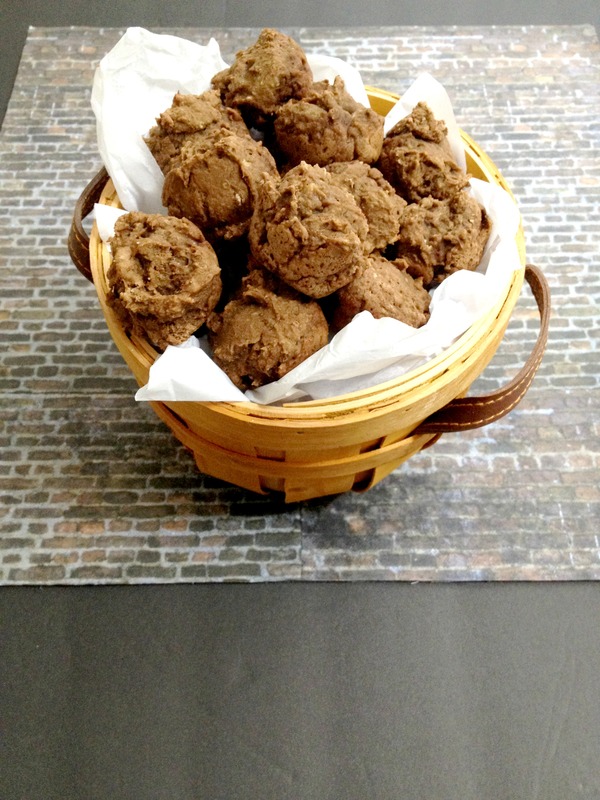 Well, a cake just wasn’t in me to make and since I have a hard time getting thick gluten-free batters to work properly for me I decided to stick with my strength – mini muffins! It’s kinda hard to mess up mini’s so mushy bananas with mocha? Yes sir! 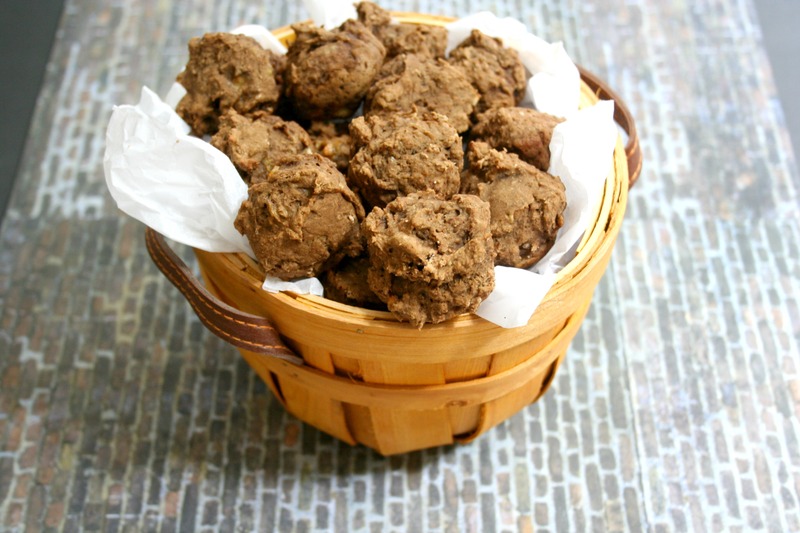 And these muffins only have a little bit of sugar-free syrup in them! All mocha means is coffee and chocolate, so here it is! 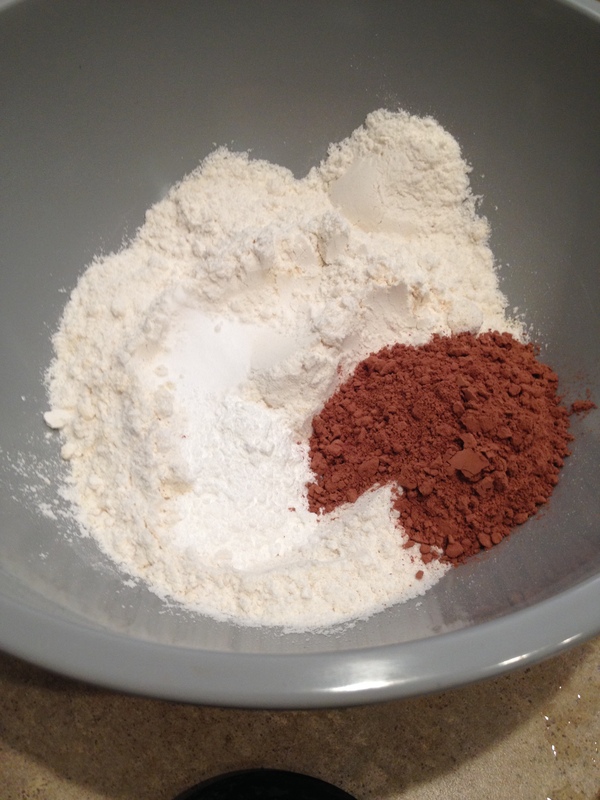 Mix the flour, baking powder and soda, and cocoa powder in a large bowl. In a small container add the milk and Vegg powder and mix with a fork. Pop in the microwave for 30 seconds, stopping at 15 seconds to mix. 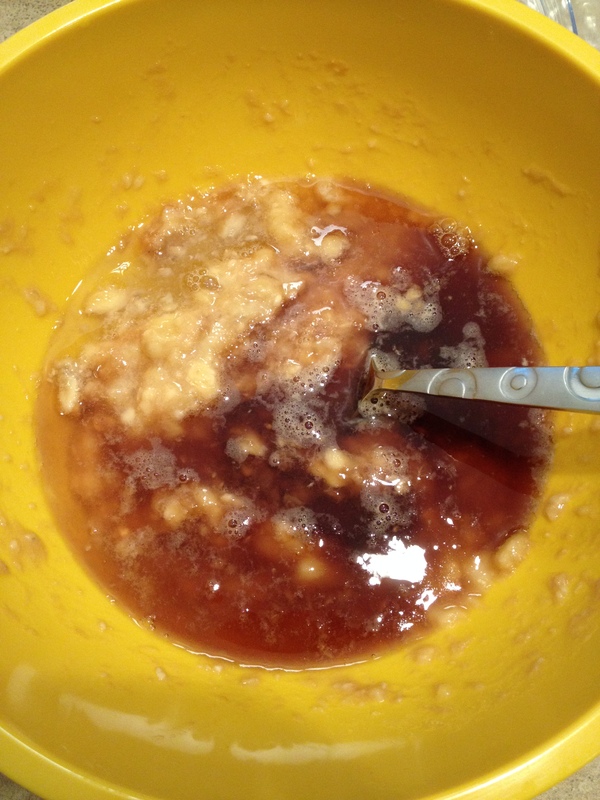 Once it’s thickened up let cool so it’s not hot. In a smaller bowl mash the bananas with the vanilla extract – mash and mix with a fork. 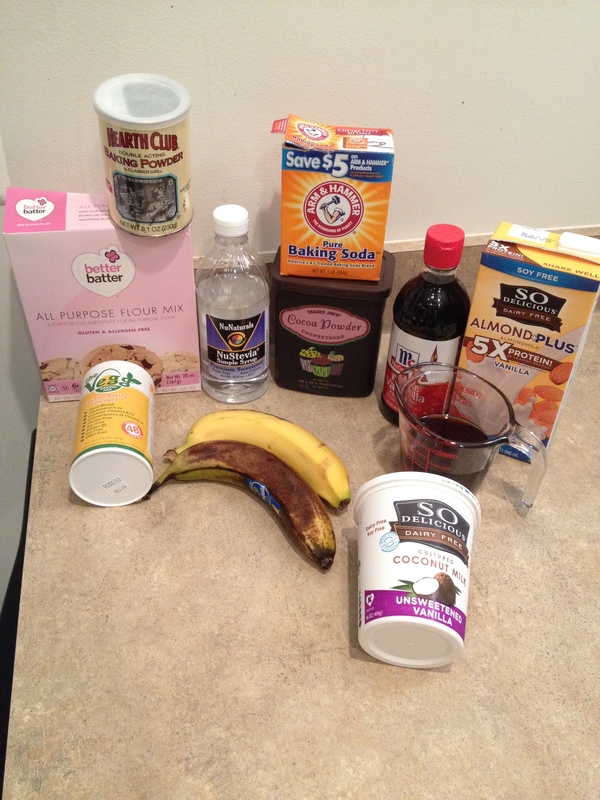 Add in the coffee and sugar-free simple syrup and mix. Add in the yogurt and Vegg and mix really well. 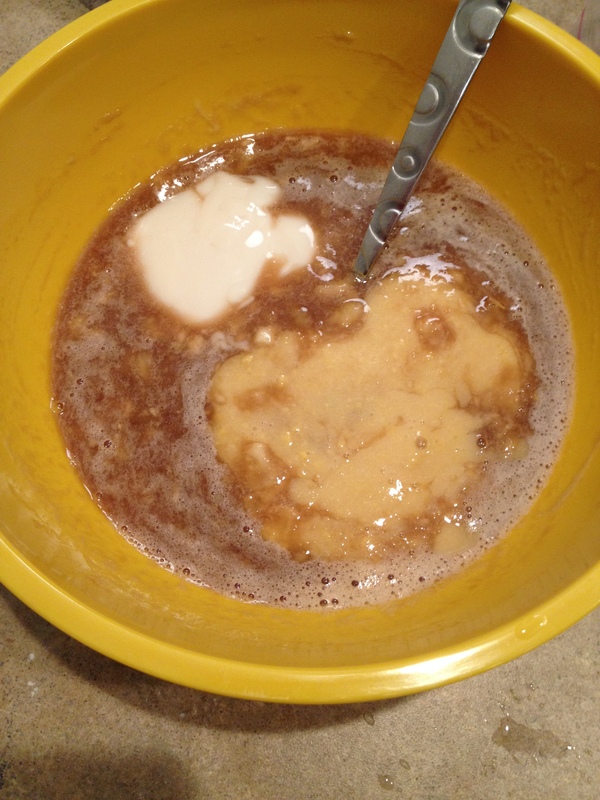 Pour wet mixture over the dry and mix until just combined. Spoon into non-stick sprayed mini-muffins tins and bake for 15 minutes at 350 degrees. The yogurt adds a wonderful moist texture. These babies pull apart beautifully or just pop the whole thing in your mouth. Enjoy! 1. Set oven to 350 degrees. Spray a mini-muffin pan with non-stick spray. 2. 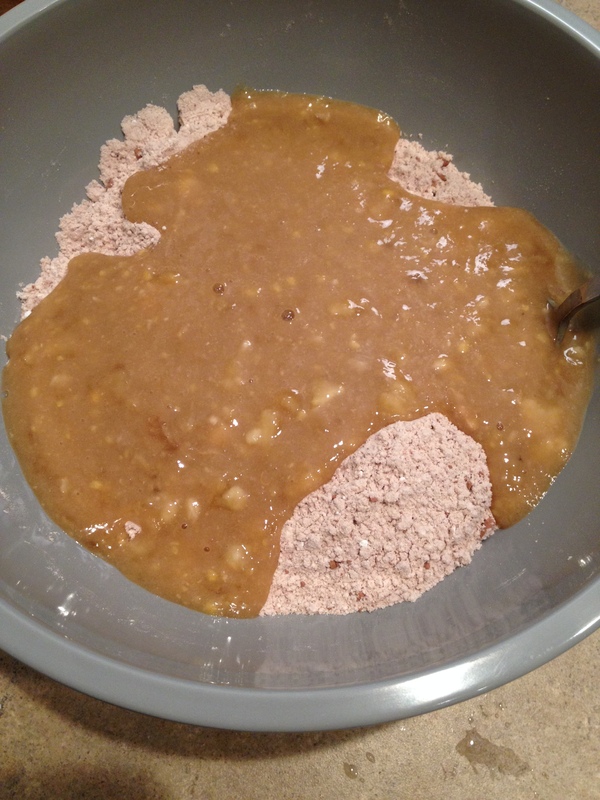 In a large bowl mix all dry ingredients; set aside. Mix two portions of The Vegg with milk and microwave about 30 seconds – in 15 second intervals to thicken. Set aside to cool down. 3. 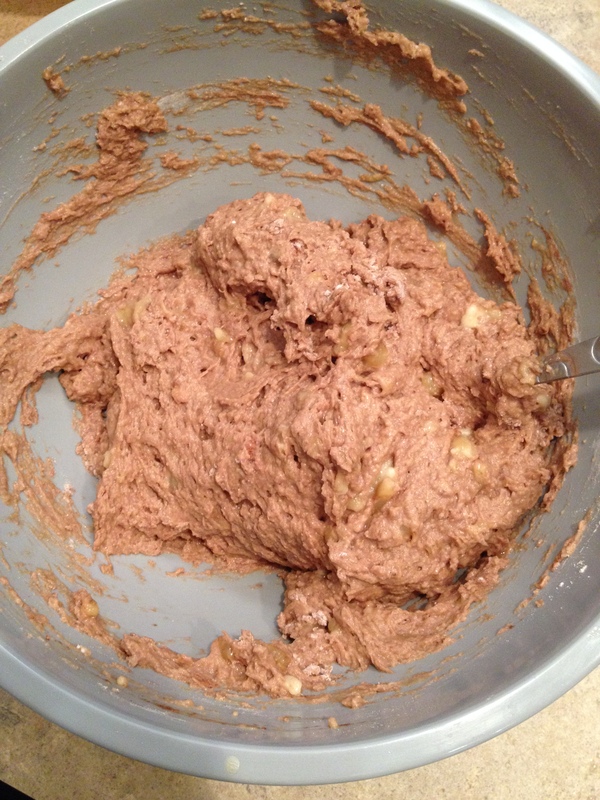 In a smaller bowl mash bananas and extract with a fork. 4. Add in coffee and syrup and mix then add in Vegg mix and yogurt and mix again. 5. Pour over dry ingredients and fold together until just combined. 6. 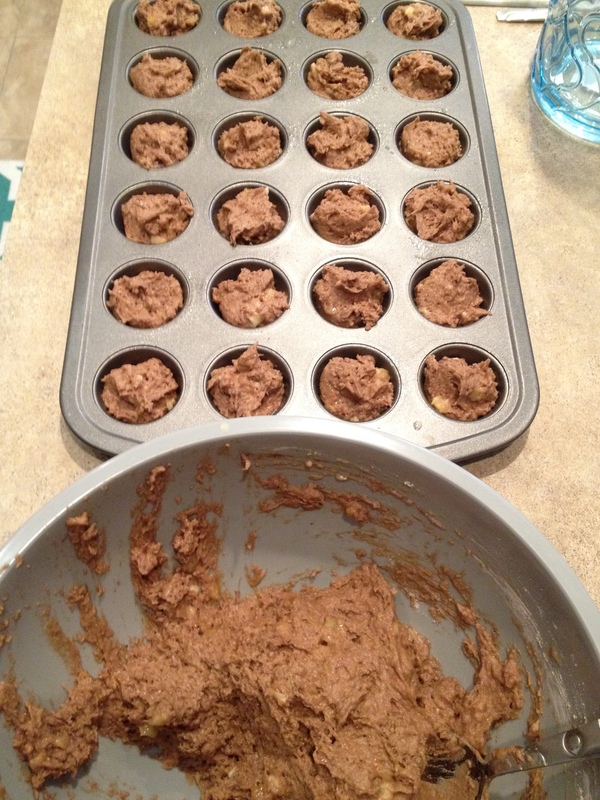 Spoon into muffin tins and bake 15 minutes.